This design is copyrighted by Anita Goodesign Incorporated. This design may not be distributed electronically in any format or by any method, either altered or unaltered, without the express written permission of Anita Goodesign Incorporated. By purchasing this design, you acknowledge that you agree to the License Terms. These designs are for home use, gift usage and limited commercial use. By limited commercial use we imply: You are permitted to sell up to 50 items embroidered with any Anita Goodesign Inc design. 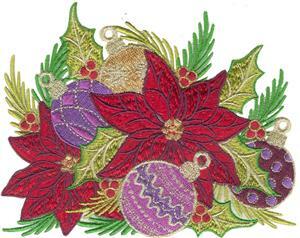 If you wish to embroider more than 50 items you will need to purchase an additional license, this license is twenty fives cents per unit and is available on this site. Click here to purchase additional commercial distribution licenses.